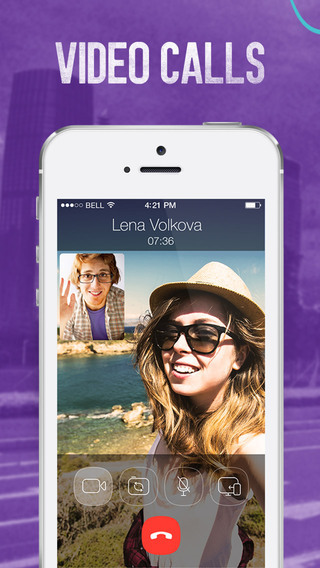 Viber for iOS has hit version 5.0 which brings video calling from your iPhone. These video calls can also be seamless transferred to the Viber desktop app seamlessly. For those waiting for free Viber video calls, the wait is over (although you’ve long had other free options like FaceTime or Skype). • Make video calls from your phone to other Viber contacts on mobile or Desktop. You can also transfer video calls between mobile and Desktop! The screenshot provided by Viber below shows a button on the far right during video calls, which should transfer your call right to the desktop Viber app. Back in February of this year, Japan’s Rakuten acquired the Cyprus-based company for $900 million, to increase the former’s global presence. Click here to download Viber for iOS—it’s free. Are you still using Viber? We haven’t touched the app in ages.